It seems as though spring waltzed in overnight in Southern Ontario. After the longest, coldest winter that many Torontonians had ever experienced—the year that will be remembered as that time a chunk of the city celebrated Christmas in an ice storm blackout and the term ‘polar vortex’ became part of our common vernacular—Mother Nature finally gave us a reprieve last week. Up until then, it felt doubtful warm weather would ever come; even as the ground was thawing and the sun returning, a bitter Arctic-like wind kept whipping through the streets like some cruel practical joke. 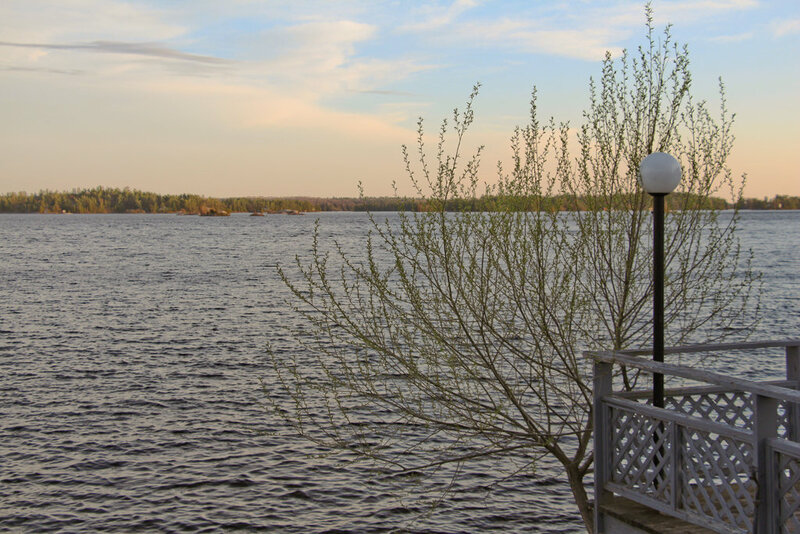 So after such an awful season, with the promise of summer seeming like a distant fantasy, my visit to Viamede Resort in the Kawarthas this past weekend, just as the wicked wind turned to a balmy breeze, was almost too perfect in its timing. 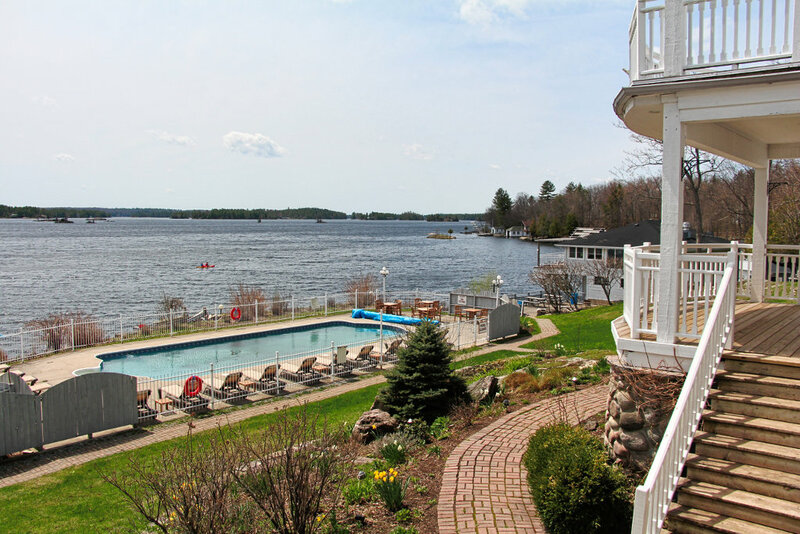 Located on Stoney Lake, about 40 minutes north of Peterborough and a little over two hours away (traffic permitting) from downtown Toronto, Viamede is a small resort property that’s just re-opened after its own long winter of renovations. 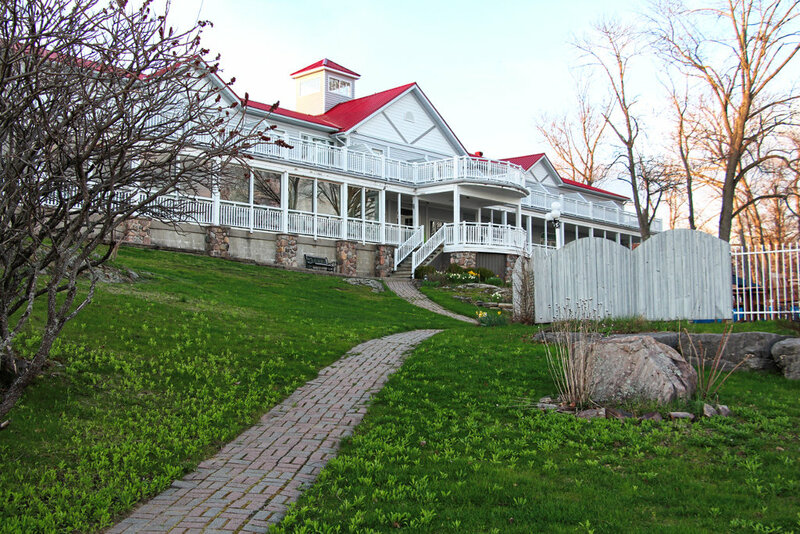 It looks more like an oversized cottage than a hotel, with a massive porch and balconies accessible directly from the rooms and offering sweeping views of the lake. I’ve written before about how Ontario’s cottage country has therapeutic powers. As much as I love the city, I also love escaping it. Nothing clears a stressed mind like a retreat to some quiet spot by a lake where the air is clean and the wifi unreliable. I’m telling you, it’s better than a therapy session. I was battling a few stressors of my own last week, including the arrival of my 35th birthday. Don’t get me wrong, I wasn’t bemoaning my age, mourning the loss of my youth amid bottles of wine (well, there were bottles of wine, but those were purely celebratory). But there’s something about a birthday that does make you sit back and take stock of things. It’s like a second chance at New Year’s—all those resolutions you failed to keep can be permanently pushed aside in favour of more realistic goals (like vowing to spend at least one afternoon a week sitting in the sun with a cocktail for the next three months). When you’re lounging lakeside, you can re-assess all the things that were causing you to tear your hair out at home just the day before. You can think about the things you really want to pursue, whether it’s with work, relationships or something else altogether. You can acknowledge how much of a bubble Toronto (or any city) really is, and how much bigger the world is beyond the city limits—even just by travelling a few hours down the 401. At Viamede, I really didn’t do anything at all. I sat on a rock beside the lake one afternoon and read a book, my bare feet dangling over the still very chilly water. I had breakfast on a bench overlooking the morning sun’s reflection on the lake. I sat on a fellow traveller’s balcony and talked with old and new friends for hours about nothing really at all. I drank Caesars and ate battered fish on a patio. 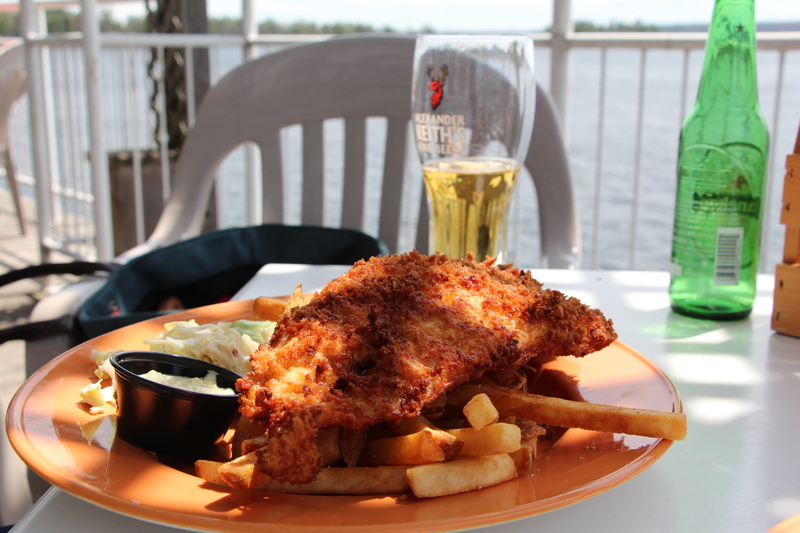 (Side note: if you go to Viamede, order the fish at the Boathouse Pub. Trust me on this. No lie, the entire patio copied my order when they saw the plate come out.) I looked up at the clear sky at night and instantly remembered the camping trips I used to take as a teen, when I’d lie out on the rocks with a boy I had a crush on and pick out stars. No matter what your plans are this summer, if you call the Toronto region home, please promise me you’ll escape for at least one weekend to the awesomeness that is rural Ontario. While I didn’t solve all of the problems awaiting me back home (I’m still 35), I was able to come back with a refreshed mind and new sense of energy. It’ll clear your head, too, I swear. And I won’t even charge you a therapy fee for the tip. And if you’d like to check out the newly refurbished Viamede for yourself, the kind folks there are offering a discount to all you lovely readers. Mention this blog post, and you’ll get 10% off a long weekend stay, and a complimentary bottle of wine in your room! Call 1-800-461-1946 to book. And I should note that this coming weekend is a long weekend… just saying. For more Viamede reviews, check out the coverage by my fellow travellers: ChicDarling.com, ShesSoSavvy.ca, TorontoBeautyReviews.com, ZachBussey.com, JamieLeighTO.com, MyShenanigans.com and ImCharmingYou.com. You can also follow the #Viamede14open hashtag on Twitter and Instagram. My stay at Stoney Lake was courtesy of Viamede Resort and Charming Media; however, all views expressed are entirely my own. Hey Tammy, This place looks great! So relaxing and I love the pub overlooking the water. Happy belated birthday!